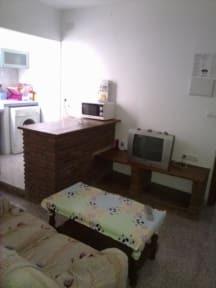 Lisboa Hostal v Algeciras, Španělsko: Zarezervujte nyní! We avail of single, double and family rooms all en-suite with TV and Wireless connection available. There is excellent communications between Algeciras , Tanger , Ceuta, Gibraltar, Marbella, Tarifa. 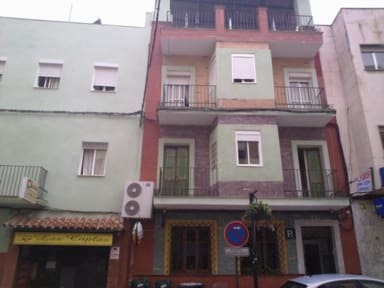 We are situated in the city centre,rear the commercial centre and five minutes walk from the bus and the train stations and 15 minutes walk from Puerto de Algeciras. There is a large variety of sights. lesiure activities, restaurants and Tapas- bar . to Getares in the Gibraltar stretch, 60 minutes walk away. We recommend that you use this link to Google maps to find the property. The check out is 12 oclock am.